Doctors said he wouldn’t make his second birthday, but Joshua Greene not only defied the odds, he made the most of what life had to offer. 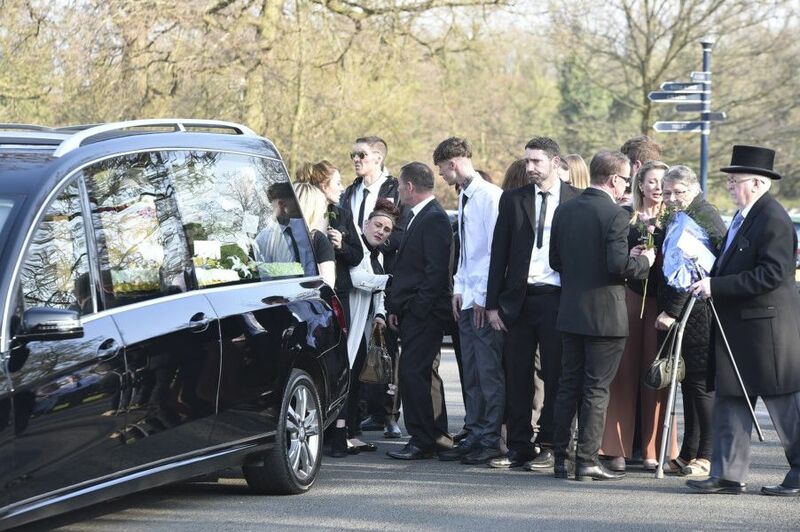 More than 100 friends and family members paid their final respects to the “friendly and very funny” 27-year-old at Peterborough Crematorium this afternoon, which began with a motorbike procession. The former Watergall, Heltwate and Peterborough Regional College pupil was only one of eight people in the world to be diagnosed with Roifman syndrome, meaning he faced long spells in hospital as he battled heart, kidney and lung problems, diabetes and asthma, not to mention weekly blood transfusions. But he never complained and always took the chance to grab whatever life opportunities he could. They told me he would not see two,” said Joshua’s mum Debbie. “He loved motorbikes and he loved life. He would go into hospital for weeks on end and get fed up but never complained. He was very friendly and very funny. He wanted to be like any normal lad. He was dearly loved by his sisters and was a brilliant uncle. He would help anybody out. He liked to go clubbing with his friends - but then it would take him a week to recover!” Joshua, who has three sisters, passed away on February 26 after suddenly contracting pneumonia. Before his death he lived in a flat in Hampton with full-time carers. One of his greatest experiences came back in 2007 when, aged 16, he was one of 28 children from the Peterborough area who experienced the magic of Disneyland Paris thanks to the Rudolf Fund. Joshua, who was taken by carer Judy Fogg, could not get travel insurance, but thanks to an article in this paper scores of readers rang in with suggestions which led to Crawley-based Rock Insurance offering him cover for free.